This Thanksgiving Cauliflower Fried Rice is a delicious way to use up holiday leftovers and repurpose them into healthy, low carb meal prep lunch bowls! This post is sponsored by Mann’s. Thanks for supporting the brands I love – they help keep my blog up and running! Say hello to your favourite new way to use up Thanksgiving leftovers! Or, you know, just extend the time you have to keep eating your fave Thanksgiving flavours – there's a reason this holiday is so popular, and you know what? I say life is too short to miss out on some of your favourite food, waiting all year until the perfect time to indulge in a turkey feast. There's still so much time and so many ways you can get creative and add these delicious flavours into your weekly lunches. One of my friends actually goes craaaaaazzzyyyy for Thanksgiving. We have this fast casual poutine restaurant right around the corner from where we live that specializes in all different types of loaded, delicious fries and she LOVES the Thanksgiving poutine with gravy, peas, cheese curds, turkey, stuffing and cranberry sauce. This poutine is soooooo over the top and extra, let's be honest, but a lot of people go crazy for holiday flavours and I think it's horrible that we limit ourselves to enjoying them only a handful of times each year. So, of course I had to make my own healthier, low-carb version of a delicious Thanksgiving fried rice. Thanksgiving flavours AND fried rice. Cauliflower rice at that. Now let me tell you something about cauliflower rice. It's my new obsession. I think a large part of the reason I've held off on making it is because the process seems so long and drawn out. I don't have time to haul out my food processor, and let's be honest, after a long day of work I'm so tired and lazy and I just need to dump everything into a large frying pan and go from there. And here we come to why I love Mann's Cauliflower Cauliettes so much. They have literally taken the work out of making cauliflower rice, and I am LOVING it. In fact, I really rely on their pre-packaged veggies for so many different types of recipes, and I love being able to get my veggies in super easily. 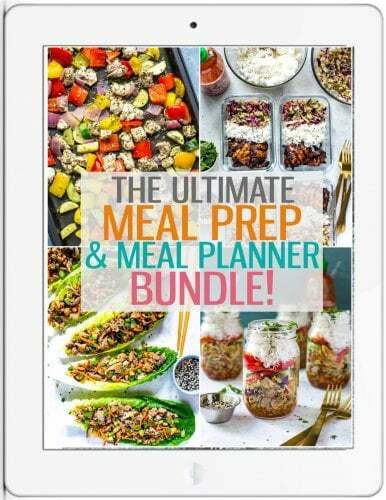 I use their slaws all the time, and they're guilt-free way to buy pre-prepped food to cut down on cooking time. There's a reason I keep partnering with Mann's time and time again, and that's because their healthy, nourishing products align so perfectly with my busy life and cooking style that it's a no-brainer. Of course I always partner with companies whose products I really love and use, but I think I have a next-level love affair with Mann's. 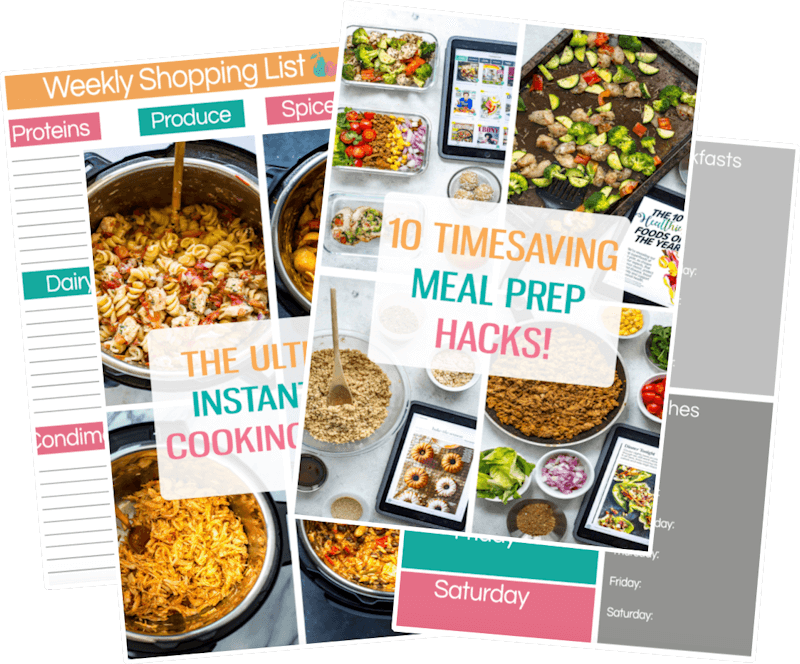 I'm talking snap peas in stir fries and meal prep bowls, super easy veggie slaws using up broccoli stems, beets and kohlrabi, and now their Culinary Cuts line (cauliflower rice, butternut squash zig zags, shaved brussels sprouts and more). I think I've used their Cauliflower Cauliettes to make cauliflower rice about a billion times by now? All of these simple flavours come together for a delicious, savoury spin on “fried rice” that you're going to want to make again and again! You can also add in whatever other Thanksgiving leftovers you've got on hand, whether that's some roasted squash, even stuffing, roasted carrots or cranberry sauce…really, it's up to you to customize this and make your leftovers work to your advantage. One thing I do recommend picking up fresh though is some sage – it's what adds the best flavour to this Thanksgiving cauliflower fried and you don't want to go with dried here. You may even have leftover sage from making your stuffing from earlier in the week and it lasts pretty long in the fridge so hopefully you'll already have some on hand anyway! Will you be making this Thanksgiving Cauliflower Fried Rice? I couldn't think of a better way to extend the celebration of the holidays than with this festive, healthy meal idea that's the perfect packable work lunch. Prep a big pile of this on the weekend and enjoy all week long! Preheat olive oil in a large skillet over med-high heat. Add sweet potatoes and saute for 10 minutes until tender. Add Cauliflower Cauliettes and garlic and saute another 5 minutes until veggies are tender. Add leftover turkey or chicken, red pepper, peas and soy sauce, sauteing for 5 minutes. Add egg in centre of pan and fry until cooked, then toss with rice. Add green onions and sage, cooking another 2 minutes before removing from heat. Serve and enjoy! Note: If you aren't using leftover chicken/turkey, you can boil 1 chicken breast in water for 15-20 minutes and then pull apart once cooled. « 10 Thanksgiving Leftovers Turned into Healthy Meal Prep!